In this film, an older generation of women share their experiences of inequality and their hopes for future generations. Now, girls can do anything – even run for president of the USA. Why is the future female? Because talent has no gender. Huge thanks to U-dox for producing this and including me beside such inspiring women. What’s the longest you’ve had to wait for something? Was it even worth waiting for? This simple idea, rooted in human behaviour is so impactful because it makes you think about what really matters. Since c. 2008, I’ve had an idea that you could use tech to facilitate organ donation. Not in a sinister black market kidney sale kind of way, but more a connected, open, live saving sort of vibe. Ask Anna Maybank, she’ll confirm how much I talk and have talked about this. She thinks it’s illegal (I think she’s right). The investment industry is changing. Sustainable investment is the fastest growing segment of the investment industry – and its worth 3 trillion dollars. Audrey Choi makes a compelling case about why we should ‘vote’ with our investment dollars. “There’s this really smart scientist guy who said that people can learn a lot from dogs. He said that when someone you love walks through the door, even if it’s five times a day you should go totally insane with joy”. For the next seven minutes do nothing but watch this film. It’s beautiful. 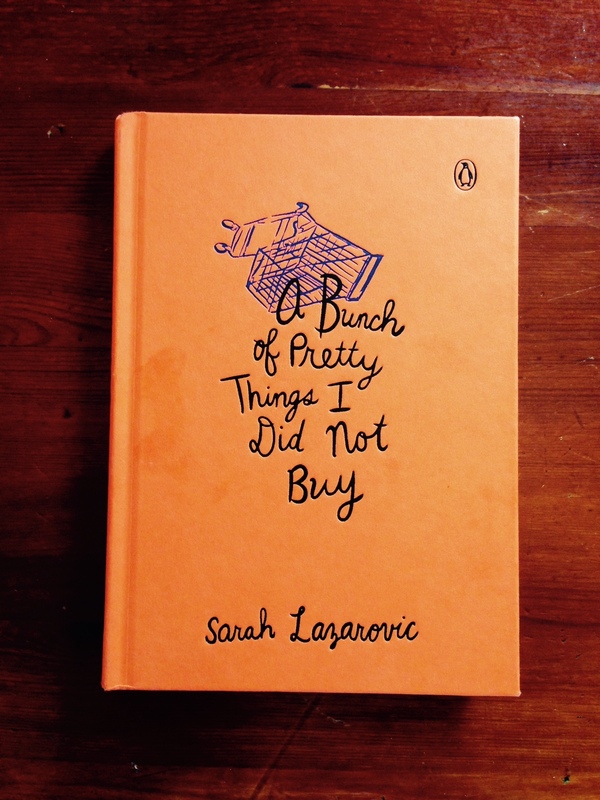 Naturally drawn to Sarah Lazarovic’s book A Bunch of Pretty Things I did Not Buy because of its neon orange cover and hand written type, I almost read the whole book in the shop (not because I didn’t intend on buying it) because it sucked me in. Lazarovic takes you on a journey – her journey tracking the relationship she has with stuff and her decision not to buy things. Rather than reiterate a narrative around how bad fast fashion is for this world, she crafts a charming and powerful manifesto “The buyerarchy of needs” illustrated through personal anecdotes and a guide to buying things that are made to last, encouraging readers to think before they spend. Here’s a random selection of things I’ve come across this week. 1. A player powered football pitch. The first of its kind, the pitch is based in Brazil and harnesses player’s energy whilst they play, lighting the pitch at night. The inaugural match was played this week. 2. New York Standards Manual. A project on Kickstart created by Pentagrammers Jesse Reed and Hamish Smyth that aims to reprint the Massimo Vignelli designed 1970. Back it. 3. The ‘slash’ career types. I’m definitely one of these. 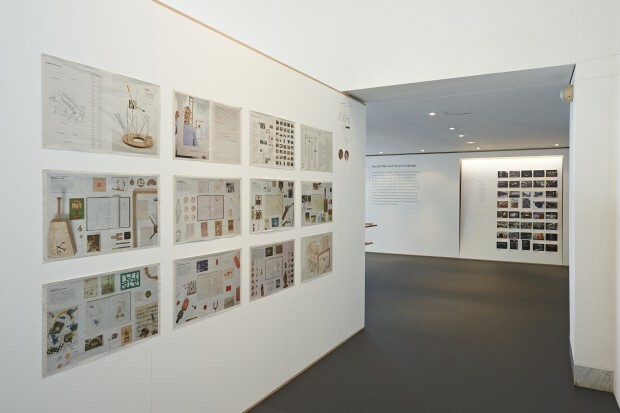 Time Machines: Daniel Weil and the art of design, curated by Martina Margetts is currently showing the Design Museum and is well worth a visit. Marcus Field, critic for the Evening Standard writes, “every design exhibition should be as thoughtful and engaging as this one”. Daniel Weil is a designer, maker, thinker, teacher – and much more. After his arrival in London from Argentina in 1978 he attended, and then later taught at the RCA before setting up his own practice and then joining Pentagram as a partner in 1992. Over the past year there’s been a lot of hype around Medium, the new publishing platform set up by Twitter co-founders Evan Williams and Biz Stone. Like most people, I too was a bit dubious at the start. Just what the world needs – another blogging platform. But then I started reading stories on it. I started speaking about stories I read on it like I knew the writer and like their stories were my stories. I became a Medium addict. Totally hooked.